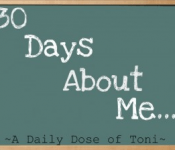 I am participating the a blog challenge this month called 30 Days About Me brought to us so graciously from a Daily Dose of Toni. Today topic: a photo from ten years ago and a current one holds a special place to me. For the past ten years I have been chasing a dream that I thought would never materialize. That’s what dreams are for right? To dream of something just out of four reach so you always have something to strive for–right? In 2000 my wife and I are not even married yet and we began to think of our future. Sure, some people think of settling down and maybe buying a place saving for retirement. Not us. We think big! At the time I was an up-and-coming-wanna-be musher and had this crazy dream to one day run the Iditarod. If you are unfamiliar with the Iditarod it is a 1,049 mile race from Anchorage to Nome, Alaska with a team of 16 sled dogs. To put in it perspective that is about the distance from Denver, Colorado to Minneapolis, Minnesota standing on runners about the width of a yardstick. Michele and I packed up the family and the dogs and gear and headed to Hilly City, South Dakota to run a sled dog race called The Black Hills Race for the Gold. 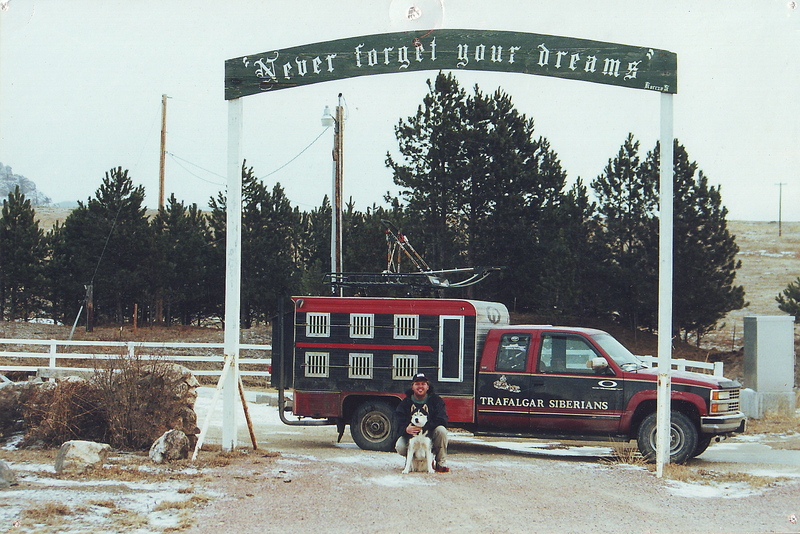 We came across this sign at the entrance to the Crazy Horse Memorial near Mount Rushmore. The second picture is ten years and four months later taken at the exact same spot this summer when Michele and I took a road trip from Alaska to Minnesota to South Dakota and back to Denver. While a lot is the same many things are different. I am still chasing the area, but I am so very close. We have bought a home in Alaska to run sled dogs that is only 3 miles from the start of the Iditarod trail. I have trails out my back door that you can literally run on until you fall off the earth. Sadly my buddy Ineka, has passed on but he runs with me in spirit as I run under the Team Ineka banner and will carry his ashes with me to Nome when I run the race. I think that is an amazing dream! I follow the race every year and have 2 very good friends who grew up in Alaska. Thank you! Look for me in 2013 or 2014. I am doing my qualifying races this year. If I finish all three I will run next year. If not it will be the following. Thanks– I took them of course they’re grrrrreaattt ! I admire you for chasing the dream. An amazing one it is!